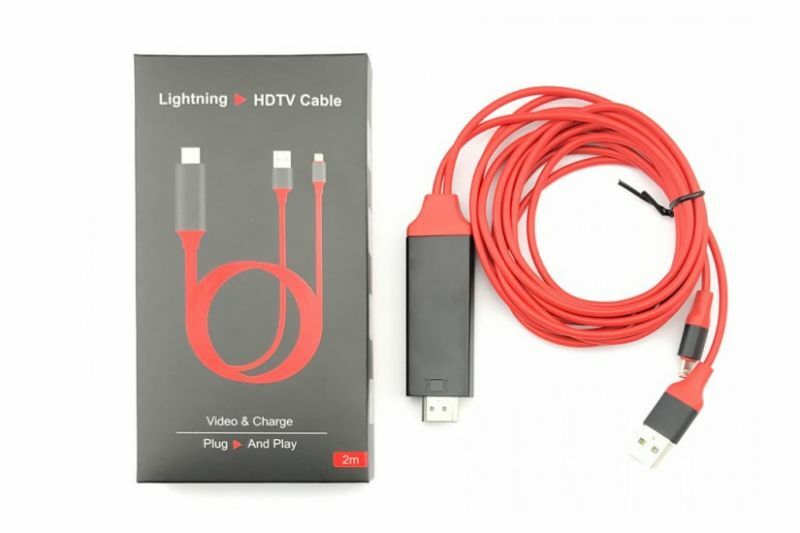 The 8-Pin Lightning to HDMI Cable Set allows the latest Apple iPhones and iPads to mirror audio and video to an external monitor or HDTV. Available in a 2 metre length. Screen mirror your favourite apps, photos, videos, TV shows and movies. Plug and play. No additional software required. Supports 720p and 1080p HD video output. Charge and sync your device at the same time using the USB 2.0 cable. Perfect for content consuming couch surfers and business meeting presentations. Universal support for Apple devices that use the 8-pin Lightning connector to charge.